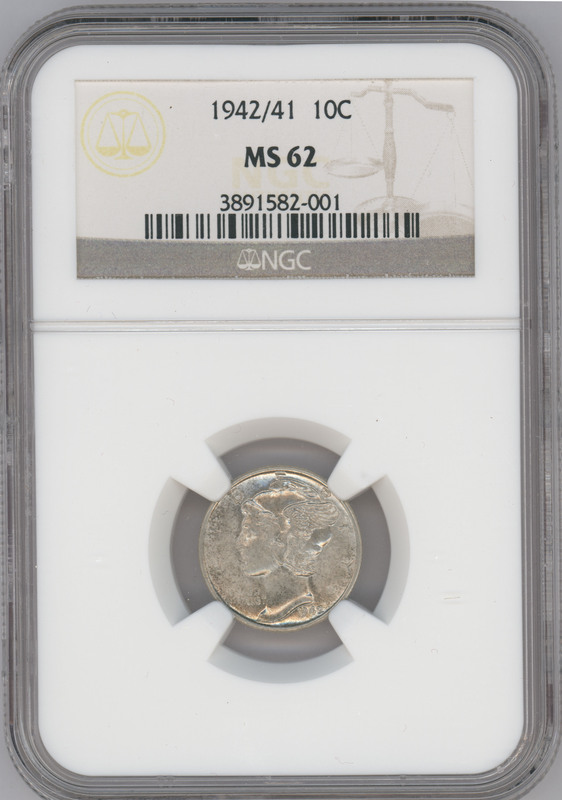 1942/41-D Dime, MS60 Full BandsKey Wartime Overdate, 1942/41-D 10C MS60 Full Bands NGC. FS-101. 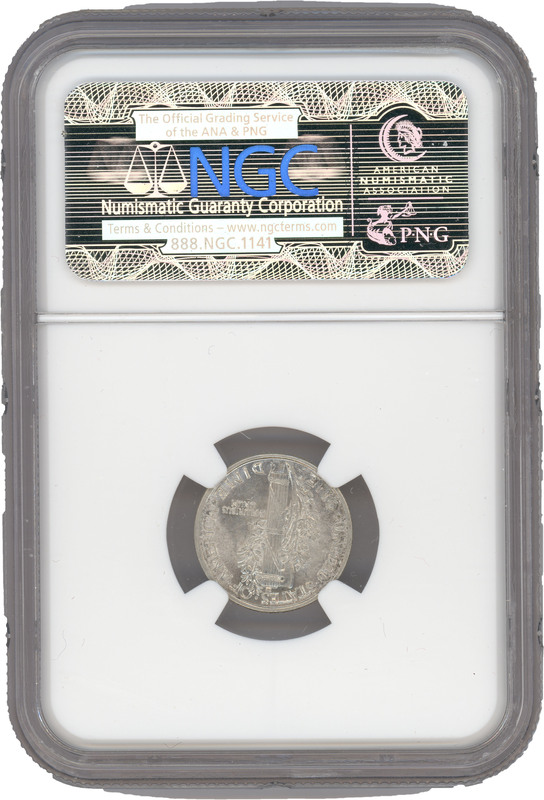 Light die doubling on IN GOD WE TRUST, and the base of the 4 in the date, is diagnostic for this key World War II overdate. The borders of the present coin display a hint of golden patina, but the satiny and smooth example is otherwise brilliant. The strike is intricate throughout.